Schaetzel starts the book with his compelling personal faith history which underlies the material. But in an effort to show that there are many different kinds of Catholics, like there are many different kinds of Protestants, Schaetzel wrote: “There are: Roman Catholics, Byzantine Catholics, Maronite Catholics, Franciscans, Benedictines, Carmelites, and even Anglican Use Catholics”. This conflates Churches (Roman, Maronite and “Byzantine” branch), with religious orders (Franciscan, Benedictines). 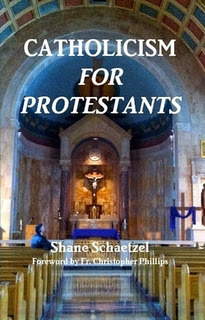 Later, Schaetzel teaches that there are 23 rites in the Catholic Church. It may be minor distinction but that is incorrect. There are 23 Churches which comprise Catholicism. A Church may have several different rites. For example, the Roman Church currently has the Roman rite, the Ambrosian (around Milan, Italy) and the Mozarabic (at several parishes in Toledo Spain). 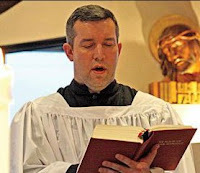 Some might argue that Anglican Use is a rite, but for now it is part of a Personal Ordinariate established by Pope (Emeritus) Benedict XVI to reach out to High Church Anglican and reincorporate the richness of traditional English Patrimony in the Roman Church. For those unfamiliar with these concepts, proclaiming yourself as a Roman Catholic layman of the Anglican Use could be kind of confusing as opposed to boldly proclaiming the author’s point of view. Alas at times Schaetzel’s playful but plain spoken prose muddies matters. For example, when asked if priests can marry, he writes “Shh. Don’t tell anyone, but they actually be married”. The comeuppance is that they leave their priestly position. Later, Schaetzel notes that sacerdotal celibacy is the practice of just Roman Catholic, the largest of the 23 Churches (which he called rites) that comprise the Catholic Church. It might have made more sense to first explain the logic behind Roman Catholic priestly celibacy with its scriptural citations and alluding to Holy Tradition rather than leading with laicized clergy. But by the same token, such punchy prose can also break down barriers, as Schaetzel was able to do by comparing papal infallability to simple math equations that are also “totally correct and being without error”. Schaetzel gives great historical analyses which debunks some of the more poignant charges against the Catholic church, such as the celebration of Christmas on December 25th coming from pagan origins. But to me, Schaetzel short shrifts the Catholic practice of inculturation. For instance, the Germanic Yule Log and the German Tannenbaum as taking popular pagan practices and giving the underlying symbols Christian significance in celebrating the Feast of the Nativity (a.k.a. Christmas). Another flash point for many Protestants is on the Blessed Virgin Mary. Schaetzel does an excellent job at explaining her important role. As a logophile, Schaetzel showed that Jesus’ native tongue Aramaic (nor did Hebrew) have a word for “cousins” so the charge which challenges the perpetual virginity of the Mother of God may be nuance lost in translation. To further dispel the notion of Jesus’ brothers and sisters, Schaetzel deftly points to the foot of the Cross when Jesus appointed John as caretaker for His mother which would defy Jewish precepts if Mary had other children. Most people associate Mary with the “Hail Mary” which is a major component in praying “The Rosary”. Schaetzel made a good linguistic argument to counter charges that it is “babbling prayer” The author rightly refers to the Rosary as a popular private devotion stemming from medieval modeling of the Divine Office using common devotional prayers instead of all 150 Psalms. The author did not explain to the Protestant readers that there are four sets of mysteries (Joyful, Sorrowful, Glorious and Luminous) which each have ten mysteries which reflect points of Jesus’s earthly ministry that the faithful should contemplate as they say their prayers. Perhaps that point might not have been as compelling to Protestants inculcated in eschewing “vain repetitions”.